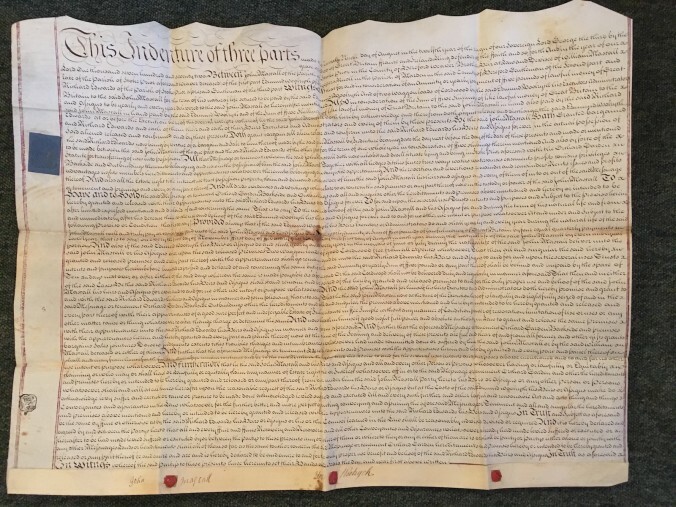 And we’ve finally been able to shed some light on how old The Dingle might be, because the earliest record of sale that we have – beautifully written on vellum and parchment – is from 1772. One John Mascall sold The Dingle – conveying messuage, orchard, garden, with appurtenances – to Mr Edwards. 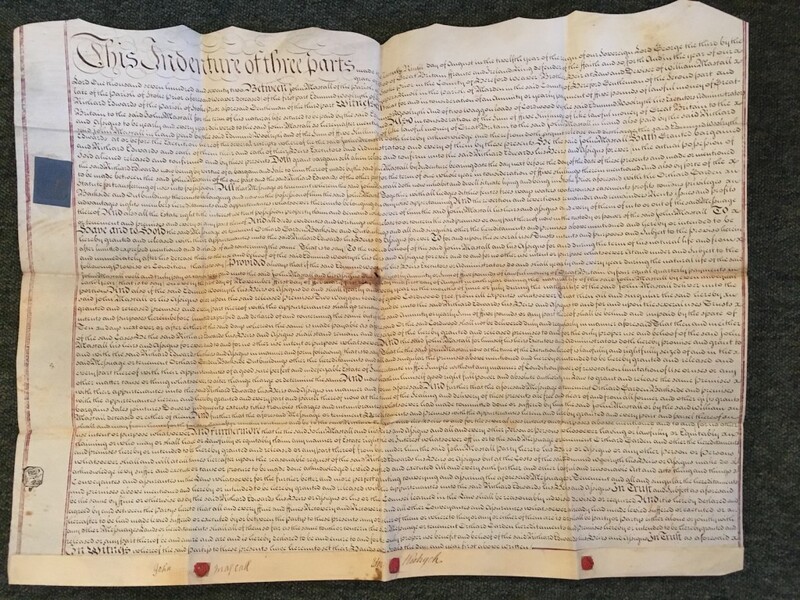 We’re not sure if this was the first sale of the house, or just the earliest record we have; but either way, it seems likely that the house dates from the mid-1700s. We’ll keep digging, and take the whole lot to the Records Office in Hereford at some point. I spent an afternoon there last week, and had a root through the 1841 census records. The Dingle was in use as a shop at that time, and I think was counted as two separate units – but I’m not sure. I do know that George and Mary Bannar, their daughter, and their twin sons lived there during that census, and that George was an agricultural labourer – like most able-bodied men at that time, I’d guess. Fascinating stuff, but it hasn’t shed any light on whether or not there was ever a quarry here. The Dingle itself is definitely man-made – it’s a long, thin valley in an otherwise uniformly steep slope. There are the bones of rocks poking out the sides. There’s also a mysterious alcove in the right-hand end wall. Perhaps it was a toll booth? Our neighbours in Monkerton House, next door to the pub, have suggested that their house was built from stone from The Dingle quarry, but I can’t find any hard evidence of this! Detective mode on. Updates will follow. In the meantime, we’re going to look into getting that earliest deed framed, because it’s beautiful.